Hello again, everyone! Thank you for sticking with me this past week. I'm getting better slowly, but surely and am able to type comfortably with my right hand again. Today, I'm bringing you a shade I had heard a lot about from my fellow bloggers and had to go ahead and pick up myself during Ulta's Buy Two, Get One Free sale a few weeks ago. It's Orly High on Hope! 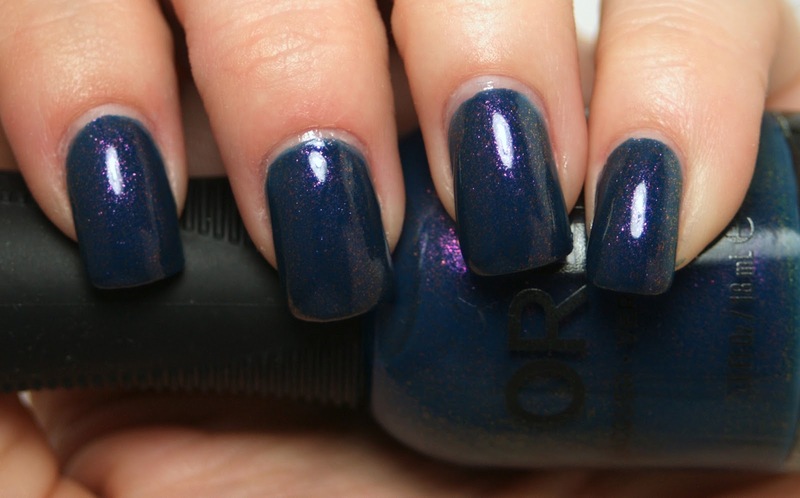 Orly High on Hope is a dusty indigo blue creme base with violet and orange shimmer. The above is with two coats. I really lovely the level of depth that this color has. The shimmer is very prominent both indoors and outdoors and was opaque with just two coats. I also loved the fact that despite the base color leaning towards the blue side, I didn't have any issue with staining. At. All. What do you all think of this shade? Super pretty! 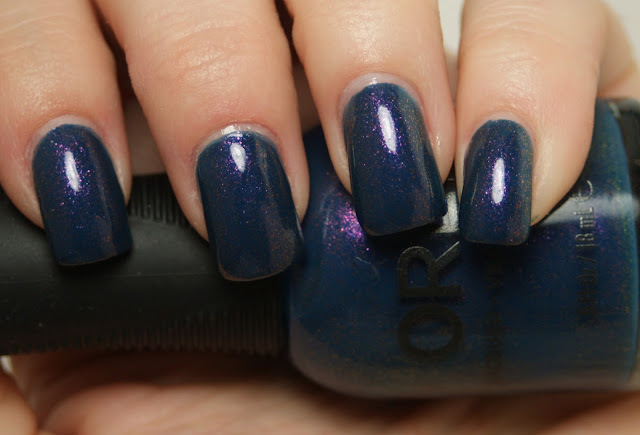 I need to add more Orly polishes to my collection! WoW! This is spectacular! I may need to get this soon!! Holy crap thats insanely pretty! OMG love the hint of of violent shimmer in it. Gorgeous color! Great swatch!! This polish is really beautiful in person. I was shocked to see it in this collection...but in a strange way it works! Woah. I definitely NEED this!